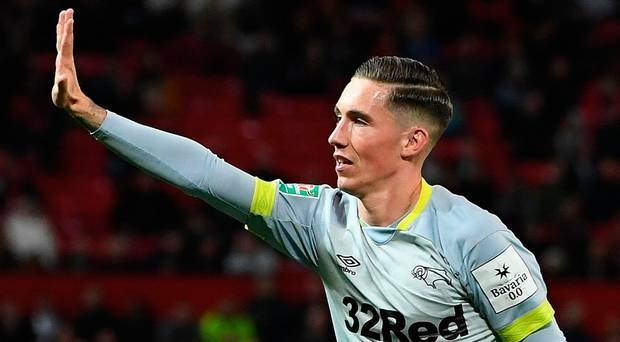 Liverpool manager Jurgen Klopp had revealed that there is a clause in the loan contract that took winger Harry Wilson to English Championship side Derby County at the start of the season. The German tactician revealed this during his pre-match press conference on Friday afternoon ahead of the crucial Premier League clash with rivals Manchester United on Sunday evening. According to the former Borussia Dortmund and Mainz 05 boss, Liverpool can recall winger Harry Wilson from his loan spell at Derby County when the transfer window reopens in the New Year. Jurgen Klopp further revealed that the young Welsh player will only be recalled if there are injuries in the Liverpool attack. The Reds will have to deal with a depleted defensive department for the whole of the festive period following the injuries to Joe Gomez and Joel Matip. Both players will be out of action for the rest of 2018. On a possible defensive reinforcement, Jurgen Klopp revealed that there would be no signing in the upcoming transfer market since the injured players are expected back at the start of the New Year. The German would be hoping that his team can keep up their strong defensive record in the absence of the injured players.